The Golden Road to Samarkand is many travellers" Holy Grail, but these days increased opportunities in this "Stan" allow you to get off the beaten track in more ways than one. Be sure to take in the star-studded highlights The Registan, Bukhara and Khiva have to offer, yet also make time for yurts, horses, masterpieces, and more. The chances are you will be arriving in Tashkent by plane. It"s not quite the "superhub" the Uzbek government would like it to be but enough airlines fly there these days to make it relatively straightforward to find a flight. Unfortunately, the capital we see today was rebuilt by the Soviets after a disastrous earthquake in 1968, so it can come across as austere and monolithic. Certainly, the area around Amir Timur Square looks more designed for tanks and generals than local explorers, but the wide boulevards and open squares do have some charm and the metro makes it easy to get around (check out Kosmonavltar station for some real Soviet kitsch). The old town is a different story. Ten years ago it was a warren of very dusty (and sometimes very dirty) streets and locked up buildings. 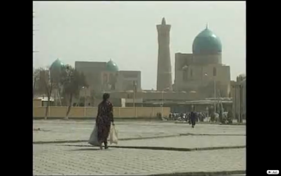 As Uzbekistan has grown as a republic, however, so life in the capital has improved and most of the historical mosques and madrassahs have been restored. The Khast Imom complex is now is open to visitors and houses the oldest Koran in the world. Take your time to wander round and try walking back to the centre to get more of a feel for things. Make no mistake, Samarkand has been scrubbed up recently and some complain it"s become over-sanitized - the new pedestrianised mall is more Santa Monica than Central Asia, for example and the market have lost a lot of its buzz, but The Registan is still "The noblest Square in the world" (Lord Curzon of India fame) and few seeing it for the first time will be disappointed (a fascinating photo exhibition inside the Shir Dor Madrassah at least gives you an idea of what it used to look like. The sights in Bukhara speak for themselves, but you can enhance your experience by passing over the many boutique hotels which have sprung up in and around the Ark. Instead head for one of a handful of old merchant"s houses which have been restored and turned into guesthouses. Most of them are signposted from Labi Hauz. After a hard day"s sightseeing treat yourself to a sauna and massage at the recently re-opened Borzi Kord hammam. $20 gets you the works, with the original marble trappings thrown in for free . If you find Bukhara too clean and tidy it"s easy to get down to Shakrisabz and Termiz for a look at Uzbekistan"s less-reconstructed side. The last key stop for most visitors is Khiva. The old city (Ichan Qala) is still enclosed by the original city walls, which makes for a compact collection of architectural gems. It"s worth getting a bed for the night inside the walls so you can wander round on your own once the day-trippers have gone home. It"s also worth exploring the rest of Karakalpakstan - you might as well, you"ve come this far! The ecological disaster that is the Aral Sea is nothing if not depressing but any visit to the region will be appreciated by the desperate villagers who used to fish in the lake (now most of the fish are dead and the villages are stranded up to 100km from the retreating shore!). On your way stop off at the Savitsky Museum in Nukus, for what must make up the most comprehensive collection of avant-garde Soviet art in the world. It was the private collection of Igor Savitsky, himself a prodigious artist, which he secretly built up to protect the works from destruction by the authorities. If that"s not enough, do what Silk Roadsters of yesteryear did, and take in Uzbekistan as part of a longer overland trip. Why not try a loop east out of Tashkent through Kyrgyzstan and Kazakhstan. Money: Getting money from banks isn"t quite as hard as it used to be but can still take time. You can withdraw US dollars and local Sum with Visa and Mastercard. Official exchange rates in banks and hotels are still about 25% less than the "street rate". Travelling around: Don"t Fly!! The new high-speed trains between Tashkent, Samarkand and Bukhara are fantastic, quick and cheap, but it"s best to buy your ticket a day in advance. Buses are also reliable and link all the major towns and cities. 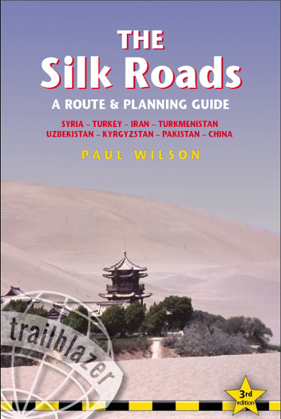 Paul Wilson is the author of The Silk Roads published by Trailblazer. It"s the only guide to offer practical as well as cultural information for the whole route.